Round 5. Can anyone claw back 100flowers’ lead? Look over the fold and give it a shot. Okay, I squinted and turned my head a little. 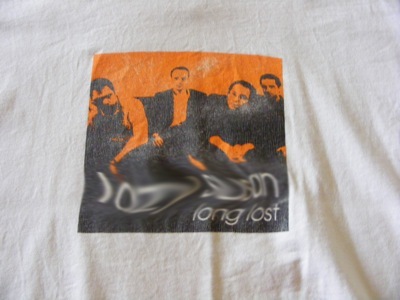 I assume #2 is some promotional t-shirt for a band I’ve never heard of (looks like Lazy Susan) who released an album called Long Lost. If Lazy Susan are anything like The Blackeyed Susans (who are fortunately NOTHING like The Blackeyed Peas) then I may be convinced to listen to their work. #3 is tantalisingly just on the tip of my hippocampus, but no cigar… yet. I recognise that visible tagline, I do, I do. Lazy Susan are not like the Blackeyed Susans, they are however very good. They did indeed release an album called Long Lost. 2 points. When #3 is revealed you will kick yourself. Last one is the Triffids, I know that much. 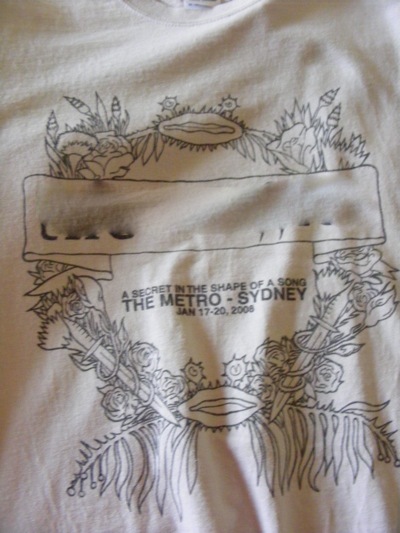 First one – Michael Lopp? I had to read Managing Humans a while back, and that led me to Rands in Repose. It is the Triffids and I was there. A reunion of sorts and a very heartfelt memorial. Rands is a bit of a nerdy legend. Great pick up Keri 3 points for that and another for the Triffids. 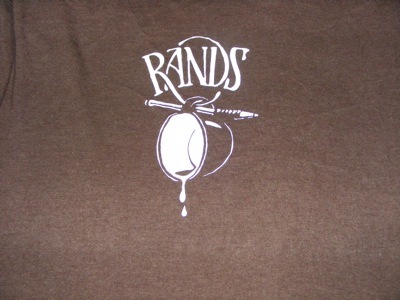 I worked out #1 by the elegant solution of googling the word ‘Rands’….. sigh.